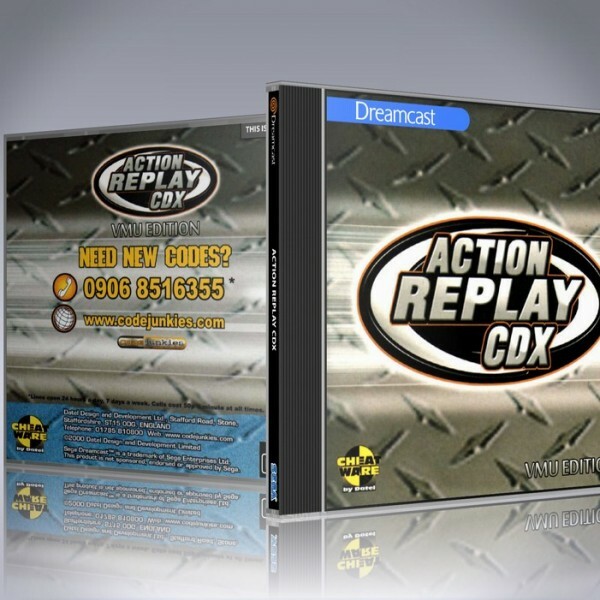 This is a PAL Reproduction disc, For NTSC please check "GameShark CDX"
Action replay for PAL region Dreamcasts has tons of built-in game codes for many PAL games, you can also add your own codes you find online! 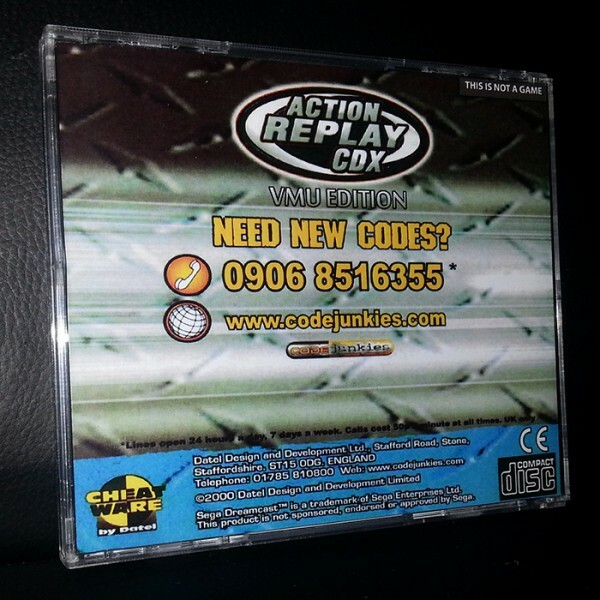 It also works as a boot disc for Import games! 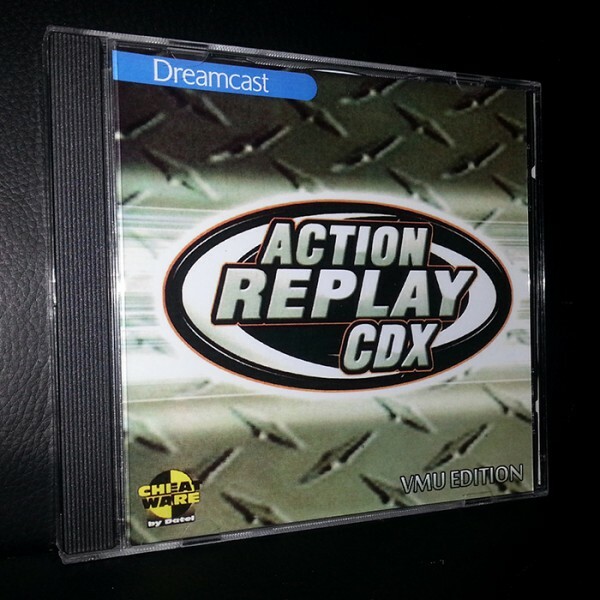 This version only requires you have a VMU attached to enable the disc, as well as save your own gamecodes. 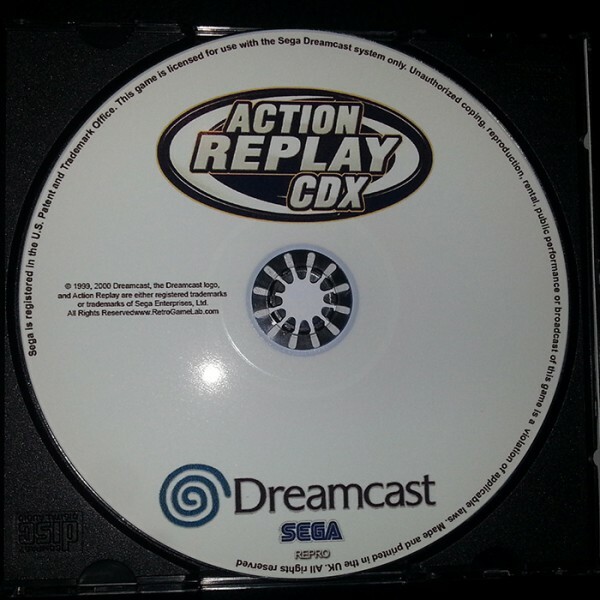 No action replay hardware required.